Need help combating weeds, leaves, and other debris in your flower beds? 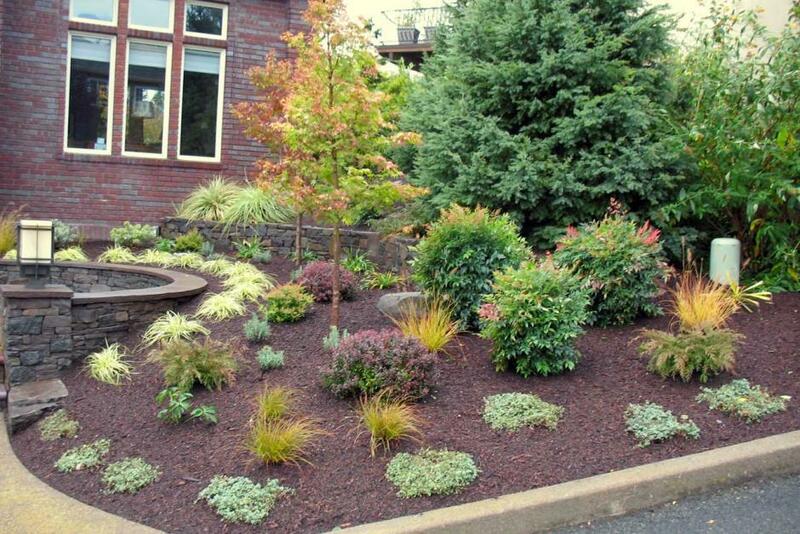 We designed our shrub bed services to keep your shrub bed areas looking good all year long. You don’t need to let them become ugly between times of cleanup, since we keep them looking sharp at all times. Is your service friendly to our environment? We use products and techniques that grow healthy plants and build a life sustaining soil culture. Today we have an ever increasing array of eco-friendly materials at our disposal. We also offer the traditional approach but this might not be as bad as you might suppose. I hate chemicals! We agree. We agree! We focus on building healthy soil which grows healthy plants and lawns. If know that when we build the soil and grow healthy plants, other problems become greatly minimized. Only when we have to. We don’t like them either. Well, yes and no. Water is toxic to humans if enough is ingested. In reality the more toxic pesticides have already been taken off the market. Consider this, the worker who applies the pesticide becomes far more exposed than the general public, yet landscapers rarely experience pesticide related health issues. If there were, our government would intervene quickly. They take great care to protect the workforce. Drain cleaner, oven cleaner, and bleach are far more toxic than anything a landscaper will use. Do you have a natural, organic solution? Yes, we do. Typically a two step process is involved. Apply a layer of mulch, usually annually. This buries most weed seeds and they don’t germinate. Thus, you never see them. We suggest this service in late winter before weeds begin to emerge. Treat the few weeds that do emerge with a natural product to control them. Commonly we use products that basically are more like soap. They coat the surface of the leaves and prevent them from transpiring. It’s like the leaves cannot breath, so they die. This won’t kill the weed immediately. All it does is kill the affected leaves and set back the vigor of the weed. A healthy weed will try to grow more leaves which will then require retreatment. Eventually it gives up and dies. This is a true organic solution. Just don’t expect the same fast results as from traditional means. How do you solve weed problems? We generally employ a multi-pronged approach to weed control. Put down and maintain a layer of mulch on the soil. This inhibits weed seeds from germinating. They literally never see the light of day. The mulch also builds humus in the soil which in turn grows healthy plants. In order to keep weeds from germinating, the mulch needs to be reapplied annually to keep it at a depth of an inch or more. Two inches is better. Spot spray the few small weeds that manage to come up. We use one of two weed control products. One is a special organic fatty acid soap that burns the leaves of the weed. The other biodegrades in the soil. We can use either or neither on your property. It’s your choice. Hand pull anything that gets too big. Put down a weed prevention product that kills weeds as they germinate. This is optional depending on your preference. If this is omitted, the layer of mulch becomes critical. If I hire you, how will you keep my shrub beds looking good? 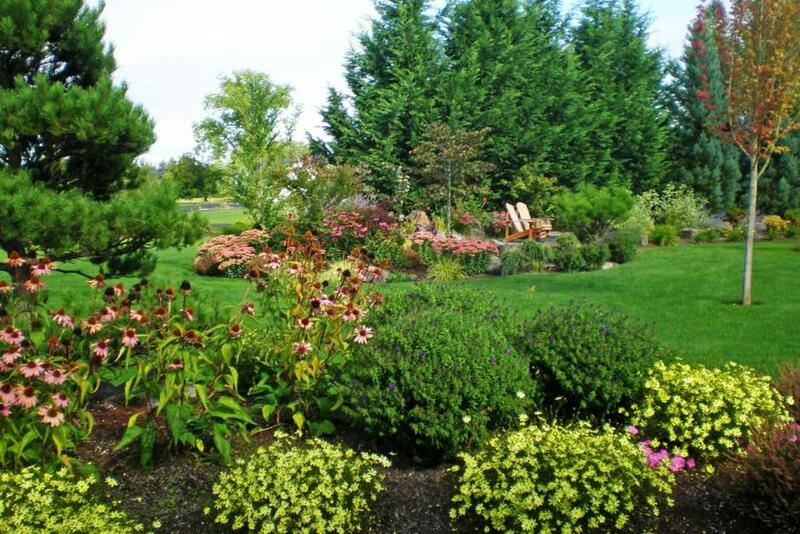 When we service your shrub beds, we look for and remove weeds as described immediately above. We also clean up and remove miscellaneous debris such as leaves and spent flower blossoms. Commonly we may blow the debris into pile before picking it up. 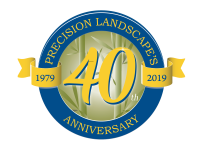 We focus on systematic, frequent service to keep your shrub plantings looking their best. Herein lies the real key to the upkeep. If you select a service option with reduced visits, please also expect a lesser degree of weed-free conditions. For pesticide free properties we must explain a critical caveat. Weed control can be poor if most of the following conditions are true. How do you remove leaves in the fall? We offer several levels of service for fall leaf removal. Weekly in November and then once in December. We encourage this service because it does the best job. During each visit we remove the bulk of the leaves only and focus on the most visible areas. We don’t do a thorough cleanup until the last visit. Every other week during the fall leaf season with a total of three visits. This only works when there are minimal leaves or the interim mess does not matter to you. For this service also we don’t do a thorough cleanup until the last visit. One visit only after all the leaves have fallen. We discourage this service unless you have no trees to produce leaves. Do you use barkdust and compost? Yes, we use both and generally purchase them from McFarlane’s Bark in Milwaukie. They screen their products which results in consistent size and texture. Compost feeds the soil the best. However, it usually takes longer to install and so it costs a little more. It also disappears the fastest since it decomposes quickly, generally in just a season or two. If you select a pesticide free service and want to use compost, we will have to lay down a thick layer. Often it works well to switch to barkdust after a few seasons of using compost. Barkdust lasts longer and does not build the soil as much. We prefer barkdust for an established landscape and recommend a light annual application.